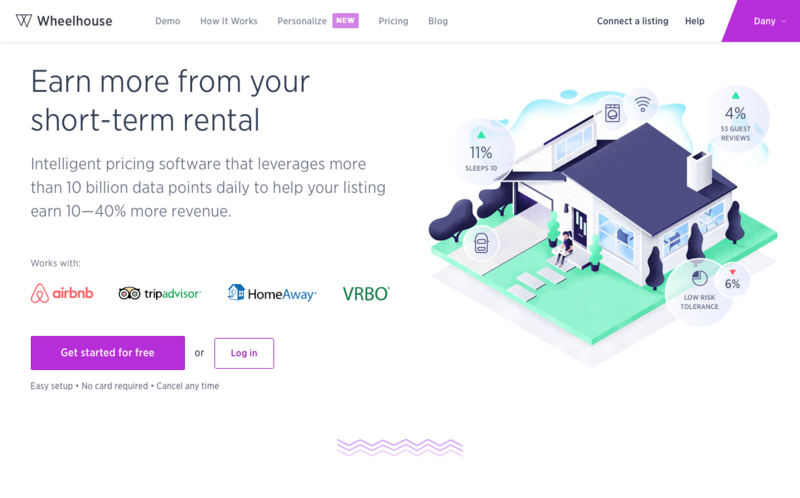 Are you looking for an intelligent Airbnb pricing tool that will automatically price your listing right every night AND allow you to maximize your income at all times of the year? If so, let me tell you about how I got introduced to Andrew Kitchell from Wheelhouse and how you can benefit from their powerful Airbnb pricing platform. According to Wikipedia, dynamic pricing, also referred to as surge pricing, demand pricing, or time-based pricing is a pricing strategy in which businesses set flexible prices for products or services based on current market demands. Airbnb recently came up with an in-house offering that strives to bring such dynamic pricing to your rental. It’s called the Airbnb Smart Pricing Tool. If you’ve read my Multiple Six-Figure Airbnb Pricing Tips, you know that just like countless experienced Hosts, I simply do not trust or use this not-so-smart tool. Actually, I tested it on my calendar earlier this year for the upcoming summer, and on some nights, it was suggesting me prices that were about $100 a night cheaper than the true market value. This means that if I had used this tool, I would have lost tens of thousands of dollars this year simply because of its inaccuracy. So, up until a few months ago, I was still manually pricing the 10 listings I co-own or manage for others. Every morning, I would go through the time-consuming routine of looking at the calendars and prices of all my listings and lowering my rates for upcoming, unbooked nights, hoping to book them at a cheaper last minute rate. A few years ago, I had tried an external automated pricing service that was charging a 1% fee per booking to dynamically price my listings. Admittedly, it did help me raise my income slightly, justifying the expense. But somehow, this service was not smart enough to drop prices last-minute and to top it off, this service made me feel as if I had no control over some key elements of my Airbnb pricing strategy. So, even though if I was paying this service to automate my prices, I still had to drop my prices manually on all my listings and fine tweak prices here and there myself. Not very intelligent if you ask me. Even more, this service was creating double the work because it somehow had a glitch that forced me to drop my prices manually, not only directly on their site but also on Airbnb, which became a double pain to manage. All of this soon triggered me to run away as a customer to continue pricing my listings manually myself. But a few months ago, something extremely frustrating happened, which reluctantly brought me back to the not-so-intelligent Airbnb pricing service. 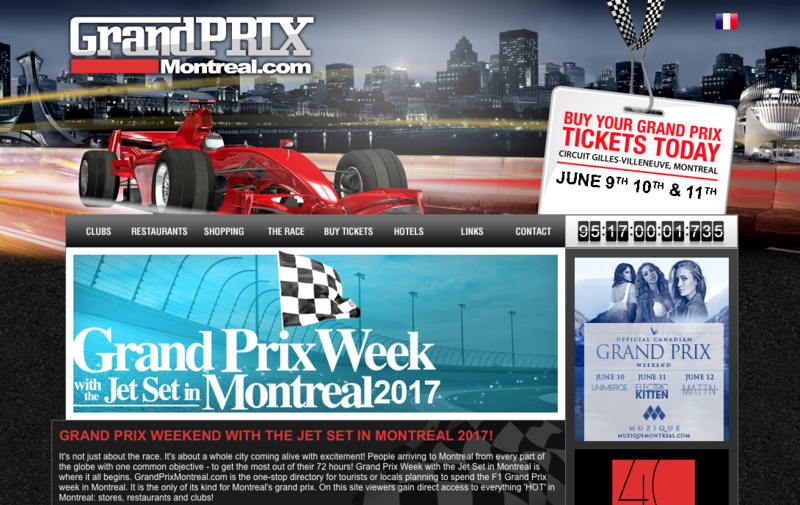 A Guest Instant Booked my most desired listing for the most lucrative weekend of the year: the Formula One Racing Grand Prix of Montreal that takes place in early June. This (smart) Guest booked my place instantly 6 months ahead of time at a ridiculous, underpriced rate that made me lose somewhere between $1000 to $2000 on a 3-day booking, all because my manual prices weren’t set correctly ahead of time. I sure was mad at myself but I honored this F1 booking. Since it was such a big financial hit, I went back to the old pricing service from a couple years ago, knowing that if this Grand Prix booking would have been priced correctly, it would have more than paid for the old Intelligent Airbnb pricing service fee for the whole year. However, nothing had changed on their website, and I still had to manually drop down my prices last-minute, both on their platform and on Airbnb. It was still annoying but at least, some costly mistake like the Formula One weekend would never happen again. And it sure was better than Airbnb’s Smart Pricing tool. But life works in a funny way sometimes. A couple weeks later, a guy named Andrew Kitchell approached me about his intelligent Airbnb pricing service that he founded called Wheelhouse. We ended up Skyping for about an hour and Andrew explained to me what was different with his service. 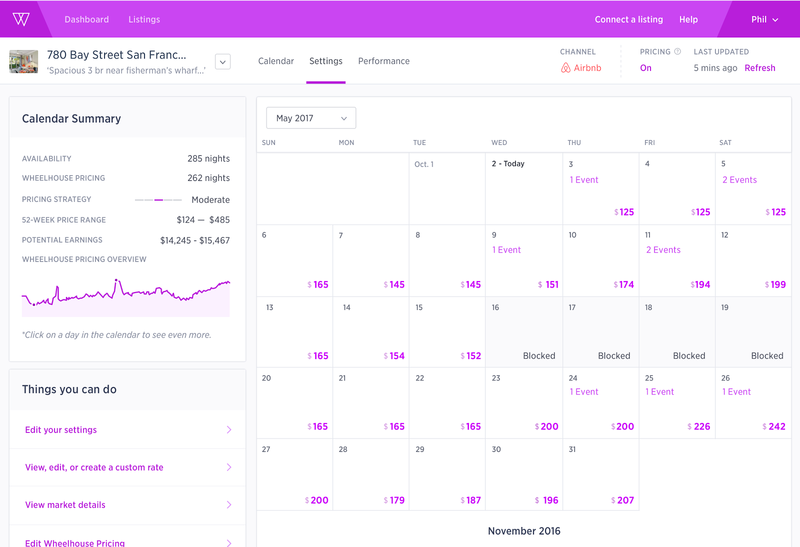 Wheelhouse is a robust pricing algorithm that gives you the ability to shape your strategy to best suit your needs as an Airbnb Host. You can set minimum and maximum prices, custom weekend rates (for example you can boost suggested prices by 15% if you want to), and even automate last-minute discounts. You can even adjust your risk tolerance for how the model treats upcoming unbooked nights. So Andrew invited me to become a Beta user. 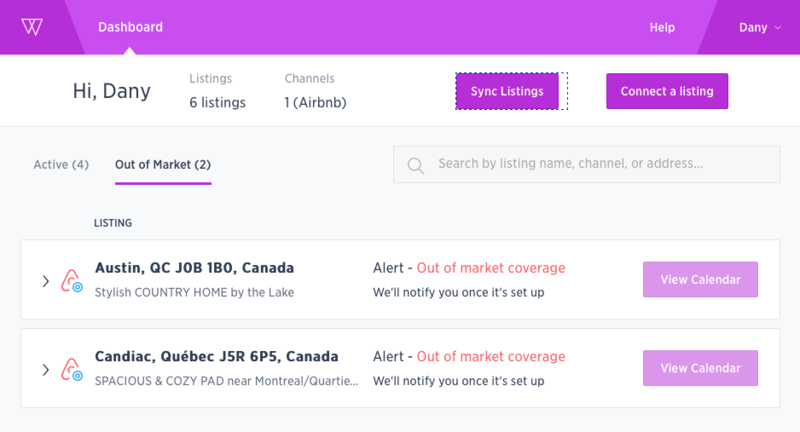 Immediately after our call, I synched my listings in the Wheelhouse dashboard and within minutes, my new prices were live on Airbnb. I’ve been using Wheelhouse for several weeks now and so far, so good! Being a Beta user is fun because you get to directly give your feedback to the development team, which they run away with to fine-tweak the product and make it better. 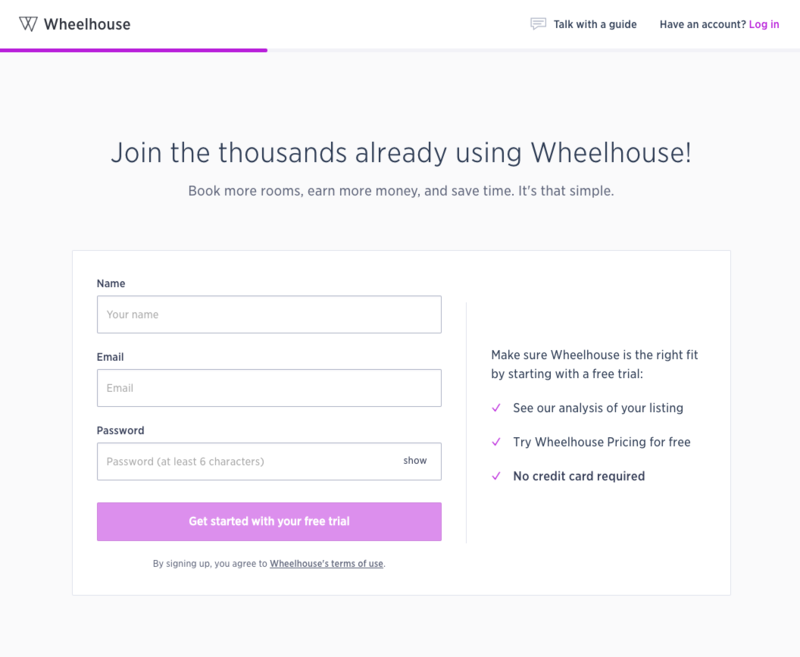 So Wheelhouse currently feels more like an extension of my AirbnbSecrets team, and less a service I use. All of this triggered me to ask Andrew if he wanted to do a Q&A, so you all can benefit from their intelligent Airbnb pricing knowledge. Hello Andrew, thanks for taking the time to share your valuable advice on intelligent Airbnb pricing. Let’s start with a fun question. Are you an Airbnb Host or have you ever hosted for other people on Airbnb? Funny you should ask, my roommate and I were actually some of the earliest hosts on the Airbnb platform. In fact, we had Brian Chesky (the Airbnb CEO) crash in our apartment in San Francisco as Airbnb was just getting going. It was during that stay that I started to understand that something special was brewing. I didn’t know that within years, short-term rentals would become the fastest-growing segment of the U.S. travel industry. But I did sense that, if Airbnb were to gain traction, it could be a serious disruptor. Wow. That’s awesome. I sure would have a few things to tell Brian Chesky about my $62,000 Airbnb Tax Bill if he crashed my couch, haha. So, how did that Airbnb couch surfing experience lead you to create an Intelligent Airbnb Pricing service? As an avid traveler, I was hooked on the short-term rental concept immediately. After Brian stayed at our place, I went on to work at other startups, but always thought about the industry. Then, about three years ago, a colleague and I were witnessing how massive Airbnb was becoming. More importantly, we were seeing the transition from part-time hosts renting out spare rooms to people building a real business on the platform, like yourself, Dany. It was transitioning from a platform for hobbyists to a platform for professionals. But we also noticed that there wasn’t any pricing intelligence behind all of these transactions. People were sort of guessing what they should ask for. And we realized, if this industry is going to next-level itself and become professionalized, it needed a sophisticated pricing and business intelligence tool that all host types could use. Very intelligent of you, indeed. So, where is Wheelhouse based and how many people work for your company? We are based in San Francisco, and we are a team of 24 now. We have PhD data scientists, hedge fund engineers, product specialists from Google and Facebook, hospitality veterans, and hotel revenue managers. It’s an incredibly smart and fun team with a passion for this industry. Impressive. Curious to know why did you choose Wheelhouse as a name? We were originally PriceMethod, and it just didn’t capture who we are. We chose Wheelhouse for a handful of reasons. A wheelhouse is the part of a ship where the captain steers and empowerment is at the core of what we do. 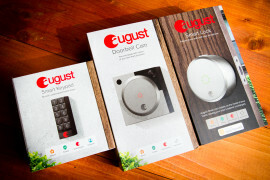 We want to put hosts and owners in control of their business. Your wheelhouse is also your sweet spot — from the expression “in your wheelhouse” — and that’s our other aim here, to work with you to build pricing strategies that put your business in your sweet spot. What’s your long-term vision for the company? Our mission has always been to help hosts and owners to build the businesses that they want. The short-term rental space is fast-growing, exciting, creative, vibrant, and diverse, and we want to help these people who are building an amazing industry. So, whatever those digital tools are, we’ll build them. Are you hoping to get acquired by Airbnb? Not on our roadmap at all. We want hosts to build their business how they want to. And not everyone wants to run their business on Airbnb. First of all, we admire what Airbnb has done for short-term rentals. They made it cool. And they brought a heck of a lot of people into the ecosystem. In many ways, it’s a great platform that they have built and scaled. We think their pricing tool is a well-intentioned effort to give their users some actionable business intelligence. However, we believe that marketplaces, fundamentally, are not designed to price inventory for their suppliers. It would be like eBay setting all the prices for the transactions on their platform. Interesting, I’ve never thought of the comparison to eBay in pricing but it totally makes sense. Why do you think that Airbnb is using the Smart Pricing tool to lower prices like they currently do? I’m not 100% sure, honestly. They may have heard that some of their hosts prefer to maximize occupancy as opposed to nightly revenue. However, we believe that there are many types of owners in our space. Therefore, with Wheelhouse, you won’t be overpriced or underpriced, you will be able to adjust our pricing engine so you are perfectly priced to achieve your own goals. So if high-value nights are in your Wheelhouse, we’ll get you there. My take is that Airbnb will do anything to undercut the hotels. So much that I would not be surprised if Airbnb would motivate new inexperienced Hosts to use the so-called Smart Pricing Tool to automatically price their homes lower than the hotels who usually have higher rates and are taxed. So what’s the difference between WheelHouse and Airbnb Smart Pricing? We are designed to price you across platforms. Airbnb can only price you on, you guessed it, Airbnb. We are also fully personalized. Every other pricing solution, Airbnb Smart Pricing included, applies the “one-size-fits-all” mentality. But, as you know, there are so many different host types with different needs. 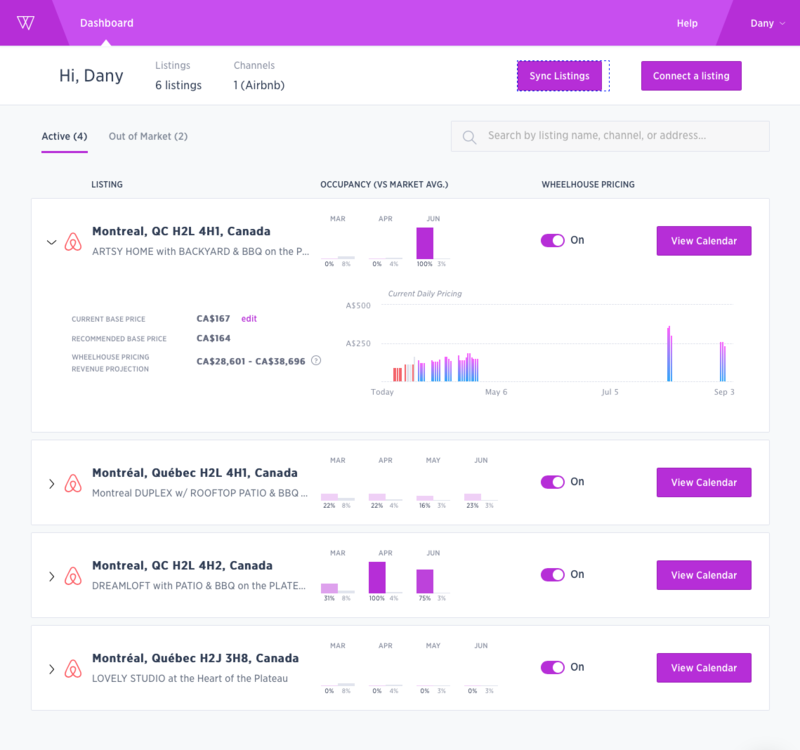 So we designed our pricing engine to give each and every user the tools and levers they need to build the experience they want. 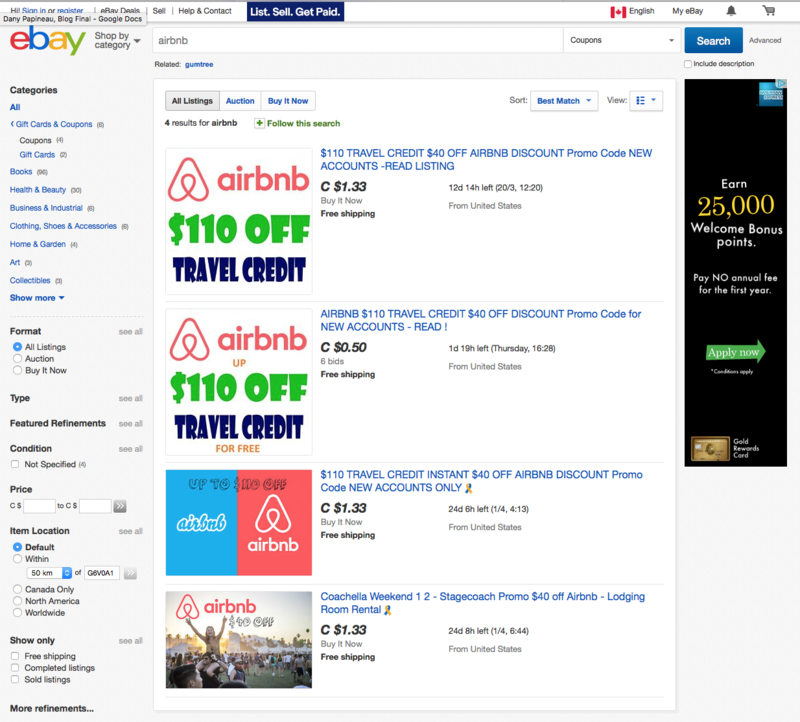 Where and how to you pull data to price Airbnb listings? We are fortunate to have strong data partnerships with some of the major booking platforms, as well as other global data intelligence companies. For example, we partnered with PredictHQ, an amazing event-data company out of New Zealand. Because of our partnership with them we have the best visibility into all events, big and small, that could affect local demand for your listing. Also, now that we have so many properties on our platform, we’re constantly feeding our algorithms with rich data. So the short answer is: we have lots and lots of data. In fact, our algorithm analyzes about 10 billion data points a day to determine the best rates for your listings. What kind of technology is hiding behind Wheelhouse? Without giving away too much of the secret sauce, we are very fortunate to have a world-class data science and development team. The first version of our model took 10 months of pure R&D to build, and all of our capital went to these efforts – a lot of nights eating ramen, haha. But we are very glad we built our algorithms from the ground up. You really just can’t take a hotel or airline model and call it a day. We actually rebuilt a model from biostatistics. And then we did the whole process again with personalization. We had to reimagine our models and algorithms. All in all, it was a two-plus year journey, but it allows us to really give our users what they need to succeed. Which other platforms do you price across? We help hosts and owners on Airbnb, TripAdvisor, HomeAway, and VRBO, and soon many other teams. 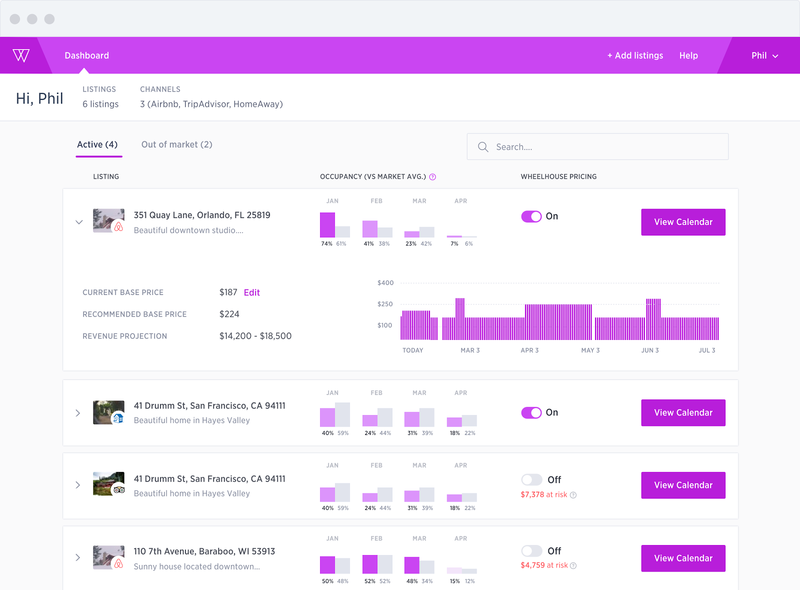 We’re just getting started on helping hosts and owners manage their pricing perfectly. A lot more exciting initiatives on the roadmap. How much can we increase our income by using WheelHouse? Our average user earns up to 31% more revenue per listing. It’s about saving time because we automatically post prices nightly. It’s also about having better insights into your business’s health and performance. In our dashboard, we show you occupancy rates relative to your market’s average. We show you revenue projections. And it’s about having pricing intelligence to help you shape your business in a way that you want. 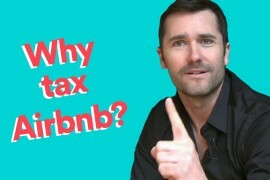 What’s your best advice on Airbnb pricing strategy to maximize our income as intelligent Hosts? I would say, identify what is most important to you. And then, really, I would input those goals into our pricing platform and let its powerful data collection and analysis do the rest. There’s really no one ideal strategy for our industry, just ideal strategies for each and every host. And that’s why we built our platform the way we did. In Wheelhouse, we need to put a base price for each listing, which will allow you to price the property intelligently. Do you have any tips on how to find that base price? Your base price is the foundation of your Wheelhouse Pricing strategy. Think of it as the absolute value of your home when you strip away demand factors. But before calculating that number through data analysis, we also ask you about your risk tolerance and let you input any unique features about your home that our data might not have captured. 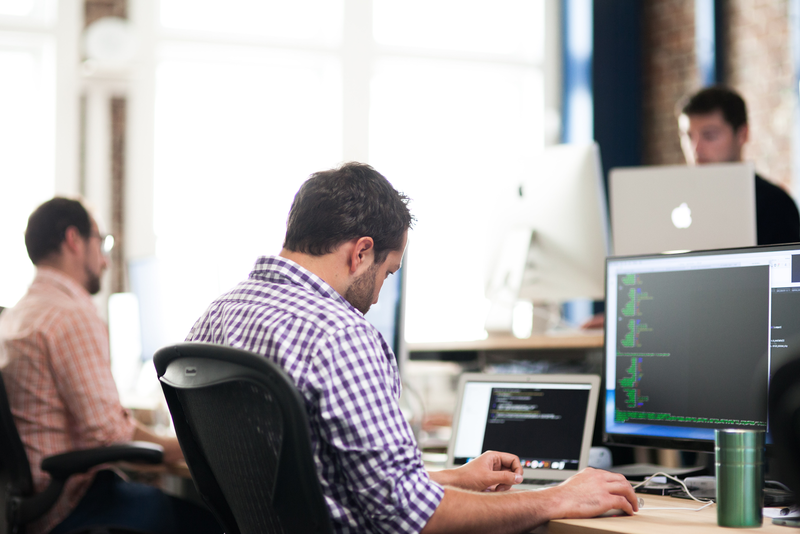 That’s really what wheelhouse is about: our data science + your knowledge = success. 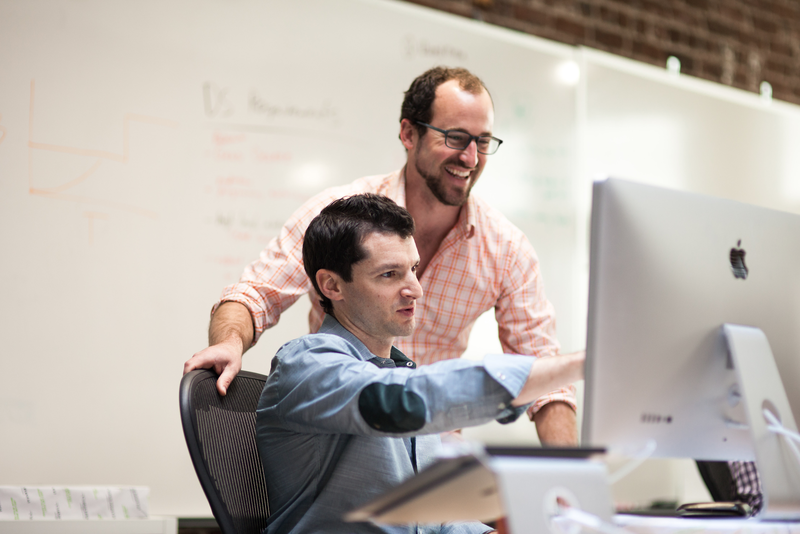 What differentiates Wheelhouse from your competitors? To start, we are the only company in the space to have a dedicated data science team, three of which have PhD’s. If you don’t have the right data science, this whole thing just doesn’t work. We also have integrations across major platforms. We are also the only personalized pricing platform. All other solutions prescribe one model. To us, that’s like a doctor giving everyone the same medicine, regardless of symptoms. We believe Hosts deserve the controls they need to manage their business right. So, if you want to be conservative and have our model drop prices sooner for unbooked nights, you can do that. We are live on six continents, servicing 600+ markets, with a lot more in the pipeline. Also, if you’re in a market that is not covered, you can reach out on our website, and we’ll prioritize that market. By the way, I’ve noticed that Wheelhouse is not available at my Stylish Country Home yet, which is located an hour and a half away from Montreal. Any plans to expand in remote places? Absolutely. The more data we feed our pricing engine, the better-equipped it will be to serve our more remote areas. It’s pretty simple. There are no monthly or yearly fees or contracts. You just pay per booking on the platform, and it’s a mere 1%. So if you successfully book at $100, we charge you $1. Would you say that Wheelhouse self-pays for itself and if so how? From a money standpoint, absolutely. You’re essentially paying 1% for a 20-40% boost in revenue for your listing. But you’re also getting a lot of time back, and, you now have meaningful insights into your business. Basically, a 1% charge per booking goes a long way. Here’s a special offer link to enjoy 10 free bookings on Wheelhouse (instead of 3 which is our regular offer). Amazing! 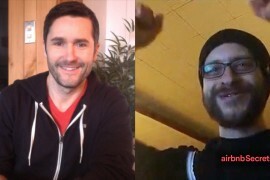 Thank you so much Andrew for taking the time to share your Intelligent Airbnb pricing wisdom with us and keep us posted as Wheelhouse evolves with more options to empower us as Airbnb Hosts. 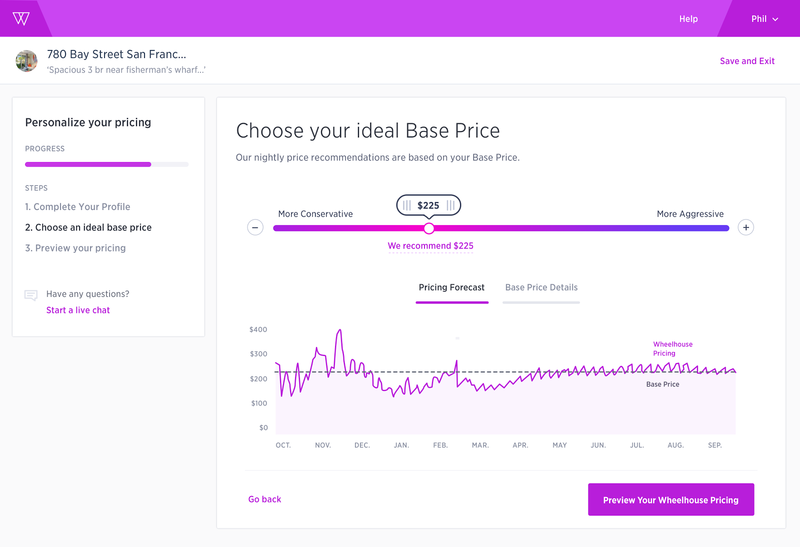 What are you looking for in an Intelligent Airbnb pricing tool?